We were appointed to facilitate step free access to Green Park station in time for the 2012 Olympic Games through the addition of new lifts and a ramped access from Green Park into the ticket hall. 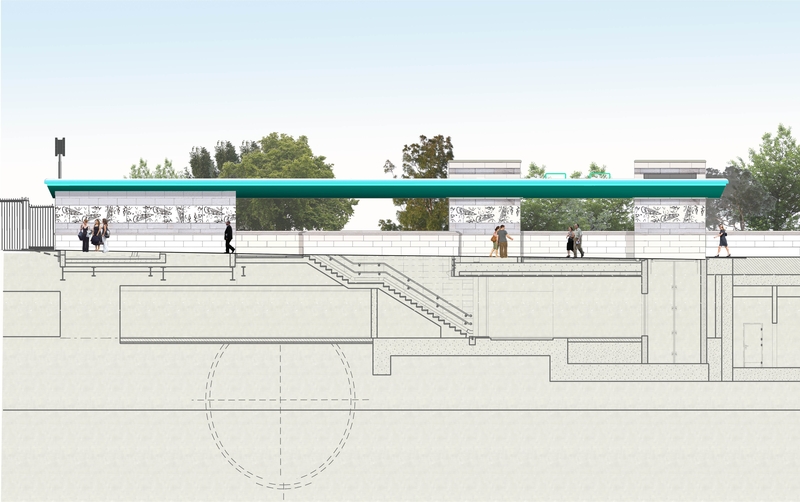 The façade of a station as well as its entrance can have a significant impact on the public realm. 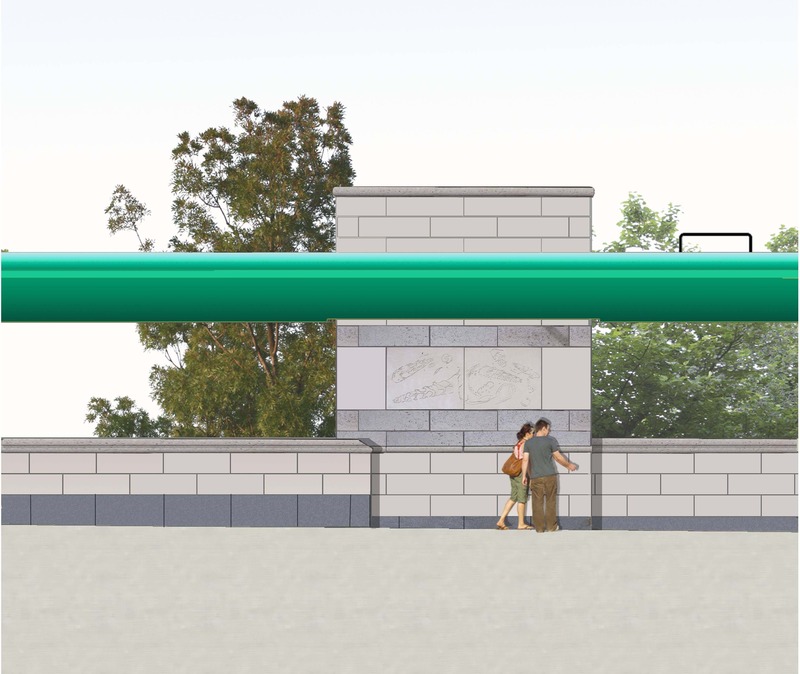 The design provides a prominent entrance with an active frontage comprising of high-quality materials and green walls acting as a beacon in the landscape and environment of The Royal Parks. 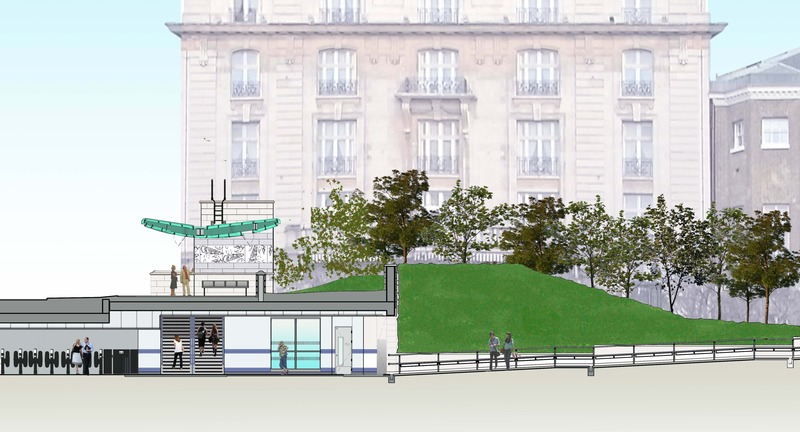 Design of the entrance from Green Park and detailed design of street level structure by Capita. 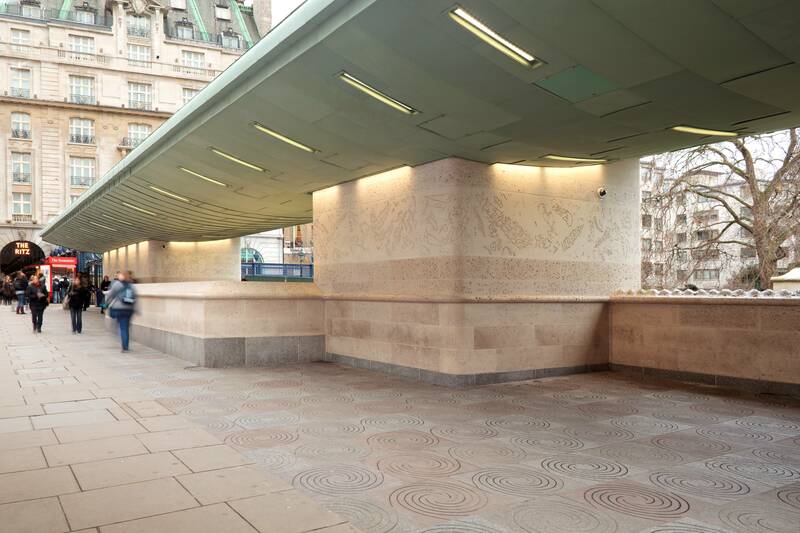 The street level shelter features artwork within the Portland stone cladding titled ‘Sea Strata ‘designed by John Maine RA. The ‘Diana Fountain’ was relocated from its original site in the centre of the park to form the centrepiece of the new entrance. Peter Berthoud: London's Most Beautiful Shelter?